Go back in time to reinforce counting, sorting, patterning, and other early math skills! Set of 72 counters come in 6 different shapes and colors. 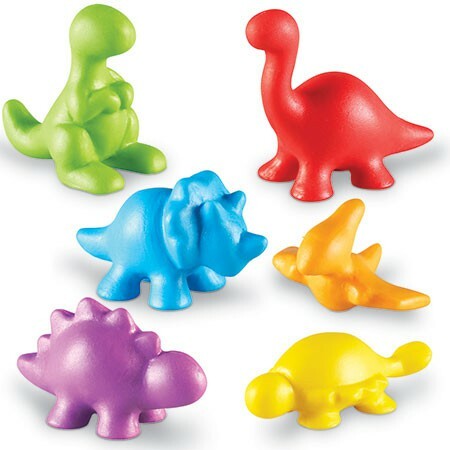 Dinosaur figures include stegosaurus, brontosaurus, t-rex, triceratops, pterodactyl, and ankylosaurus. Includes a storage bucket. Tallest figure measures 1.5"H. Grades: PreK+ From Learning Resources.